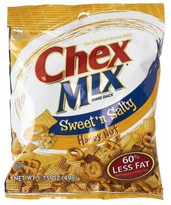 Reader Kristen found some clearance prices on Chex Mix. These are the 5.5 oz bags. Plus there are a couple of coupons you can use to get these for free or near free. Make sure to check out the rest of the Walgreens deals for this week and check out How to Roll Your Register Rewards for this week.